Okay, you want to boost your employee morale. However, making your workplace washroom fun might not be the first thing that’ll pop into your mind. Low employee morale can be costly for your business. So you might be considering other, more serious strategies. You might be mulling over job security or pay issues. You know how gravely they can affect your employee satisfaction. Or you might be dealing with a negative employee that cost the other employees a lot of nerves. A business expert, Trevor Blake, can’t stress enough that negativism is very bad for the brain. Toxic – or let’s say, not fun at all – workplace environment can impact your overall employee happiness at work. Catherine McCarthy, a clinical psychologist, explains how you can diagnose if your employees are unhappy. They might be showing signs of being overly distracted, sluggish, angry or irritable. So, how to mend those unfavourable situations that are bound to come in any workplace? Research reveals that putting some fun back into 9 to 5 might be a real game-changer. Humour is an antidote for stress. We know it’s beneficial to our health, but having some fun in the office is proven to increase the bottom line as well. The ability to treat serious matters with levity can help people lend a job, increase employee loyalty or make you a favourite employer. A survey shows that 90 percent of people would stay in a company if they considered their manager’s sense of humour above average. So, how to lighten things up a bit? Lots of companies are promoting fun in the office as part of their company culture. Some of them even push the envelope and keep redefining the word. So, you’ve got Southwest Airlines’ witty flight attendants and Google’s nap pods. Or Airbnb’s “local destinations”, specifically designed travel destination rooms. Nice for them to have some “real Bali fun” right in the middle of their San Francisco office. So, get inspired and find your own ways to incorporate some fun into your workplace culture. But where was that washroom, again? Oh yes, you might want to remember to bring some fun into your washroom too and add some toilet humour as well. It’s one of the shared office rooms that can substantially impact your employees’ well-being. 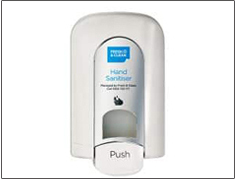 Prevent the toilet germs from reaching your hands in the first place. Sanitise the seats. Plus, you’d be no surprised to learn that humour may come at a price. But there are ways to get yourself a fun washroom for a song, and you might even get something for love. Some fun here and there will boost your employee engagement and reduce stress. A University of Warwick study reported a rise of 12 to 20% of employee productivity after exposing them to 10-minute comedy clips. Now you know fun is scientifically proven as rewarding, you want all the more to brighten up that office atmosphere, don’t you? Making sure that your employees live it up with awesome corporate parties is, well… awesome. But why not let them have a joke or two in their corporate loo? Exhibiting some playful gender signs on washroom door is a cost-effective way to introduce fun into the game. Our team at Fresh & Clean loves spicing up serious matters with a light-hearted approach. We provide you with free and ready to print fun and unconventional gender signage. Choose from our downloadable, funny and unconventional gender signs. Then expose them to your washroom doors to help your team loosen up. Here’s a few of them. 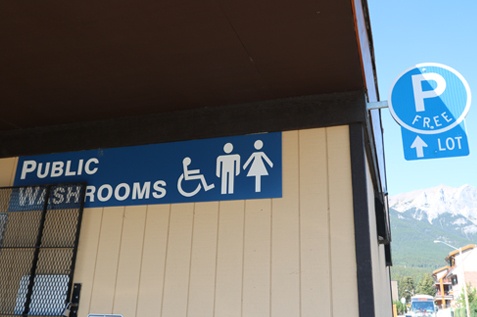 Or take a look at some even quirkier washroom door gender signs. Do washroom etiquette posters have to be drudging like they usually are? Absolutely not. You can remind your employees to keep the toilet clean in a rather playful manner. Keeping things light can actually prompt them to obey the rules more readily. 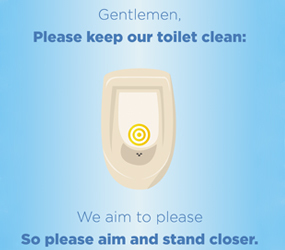 Fresh & Clean presents you with some funny washroom etiquette posters. Here’s one of them. 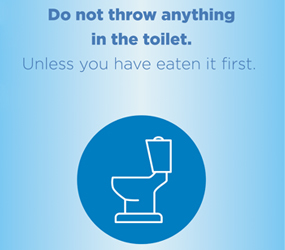 Or introduce some toilet humour to your office with our catchy poster messages. Here’s one to show off. It’s only a click away – make your employees and clients leave your washroom in good humour. We’ve got a wide collection of humorous posters. Download them for free and wait until you have some fun. 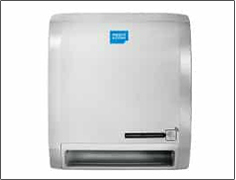 Keeping your washroom facilities neat and clean is the most basic requirement. But looking for ways to juice it up a bit couldn’t hurt. You don’t want your company to be having one of those sterile washrooms, in the tedious sense of the word, do you? Statistics say that workers spend an average of 41 hours each year in the washroom. Moreover, a study found that companies that put more attention to washroom design are more positively evaluated than those that don’t. Office washroom design adds up to the general impression your clients will form. And your employees are intuitively analysing how they are being treated by their employer. They include various factors in their assessments. And when considering washroom, they assess not only washroom cleanliness, but also design. Work Design Magazine emphasises the need to step away from the dull office washroom design. So, to get it more personal, they suggest using kooky wallpapers or newspaper wall decor. They also propose adding a Wi-Fi access, bag hooks, and phone rests. So think of your restroom design from a fresh and fun perspective to lighten the spirits up. You can choose to leave your washroom as it is or to try to turn it into a tool that will stimulate creative energy. There are some outstanding artists out there already experimenting with corporate washroom design. You still want to increase that bottom line, don’t you? See how it looks when companies give their designers freedom to experiment with their washroom design. All these designs reflect some fantastic company cultures unique in their own right. 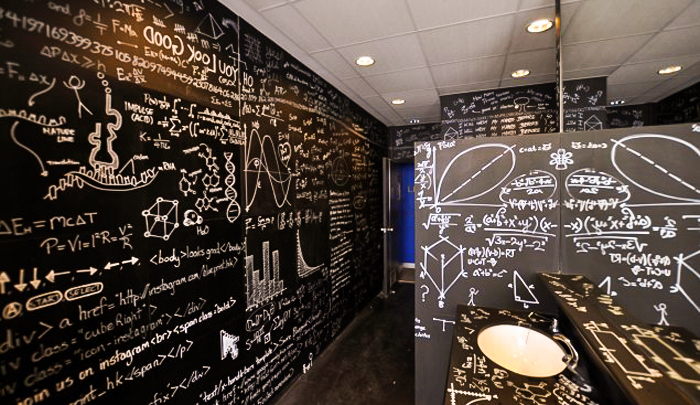 Blueprint, a coworking space company had their washroom walls covered in mathematical formulas. A tech company, Stack Overflow, reserved an entire washroom wall to their favoured game character, Super Mario, made up of tiles. While RetailMeNot, an online retailer, got each department made up in a fitting theme, including the washrooms. And they do business in automotive, home and garden, gaming, and travel sector. Got your juices flowing? Good. Check some more off-the-wall workplace washroom ideas here. A high-stress work environment is linked to more accidents and higher absenteeism rates. It’s also known to have crippling effects on productivity. So, apart from lightening the atmosphere with washroom design, put some grooming essentials in your washroom. This will add up to the overall visual experience and get some happy hormones running. Your employees will be grateful to you for having them covered in case they forgot some of their handbag essentials. And this happens more often than not. Thus, equip your sink area with wet wipes, band-aids, sanitary pads and a hand cream. You might even put out some magazines for reading and a small vase of flowers for the ladies room. And as far as the man’s room goes, fix it up with lint rollers, free mouthwash, an emergency deodorant and teeth floss. Or include some shelves in the cubicles so people could put down cell phones or other belongings. This one may not qualify as funny, or even fun. But what’s extremely not funny is letting your visitors walk into a smelly washroom. The distinctive toilet odour is something pretty much everyone wants to bypass. But sometimes you can’t, and it can get nasty. Moreover, research confirmed that people perceive a smelly washroom as a dirty one. So, having those persistent malodour washroom problems can affect your business dramatically. That’s why Fresh & Clean has an efficient solution for you. Installing our automatic wall mounted air fresheners will not only mask the malodours. It’ll eliminate them. And our intensive biological treatments will make you win the final battle over the stubborn odours. Now, to a more cheerful subject. And what can get us into a cheerful mood as effortlessly as music? It can encourage people and help keep low spirits at bay. But, adding music system to your washrooms can reduce the stress of sharing washroom space with other colleagues. The coworking giant WeWork installed full height cubicles and doors between stalls to strengthen the perception of privacy in the washroom. They’ve further installed speaker systems in the company washrooms. It helps create a sense of privacy and allows people to forget that they might have company next door. Neat or what? If you really mean to go wacky with your office washroom, get some quirky washroom essentials. You’re most likely familiar with all those off-the-wall gadgets and wide-purpose objects popping out in the market. And you might as well assume that there’s a collection of washroom-specific objects of this kind. Here we introduce you to some unconventional objects you can use in your office washroom if you’re bold enough. However, this might not be your cup of tea if you’re going for a more moderate company culture. So, here go your crazy office washroom objects. This silly little Tapi Rubber Tap Fountain will transform almost any tap into a drinking fountain. Some of your colleagues may find it quirkily useful when craving tap water refreshment. These Money Toilet Paper Rolls can make your office a barrel of laughs. You can install them secretly when you want to see your staff and visitors grin as they leave your washroom. And here’s some convenient humorous superhero myth busting wall art. You might have never wondered what Batman and Wonder Woman are doing when they’re idling. But these wall prints show one thing’s for sure – they don’t shy away from toilet seats. Get them to draw out some good laughs or even to get some witty banter going on. If you want a team of productive and engaged employees it’s high time you explored your fun capacities. Companies that adopt a fun-oriented culture reap the benefits of productivity, creativity and innovation. What more can you ask for? Humour allows for a pit of possibilities to explore. And you’ll see a dramatic change in your employee behaviour when you stir their imagination up a bit. So, don’t be timid to bring more fun into your workplace. 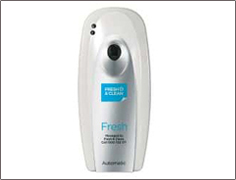 Fresh & Clean is not only a renowned multi-national company. We pride ourselves on knowing how to have fun, too. Our humorous posters are here to testify. So, whether you’re into strictly business or are up for some witty banter, call us today for everything washroom.